Buying a car is a serious investment, and one that requires upkeep and maintenance to keep it running smoothly and effectively. If car maintenance isn't for you, here are some benefits of using synthetic motor oil to quickly and easily improve the performance of your engine. 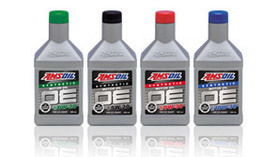 If you're asking yourself whether you can use AMSOIL synthetic oil to break in your new engine, the answer is Yes! 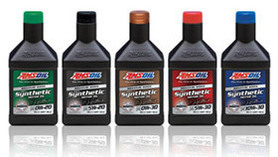 AMSOIL synthetic oil can safely be used during the break-in period of your new engine. If you're looking for more proof, vehicles such as the Chevrolet Corvette and the Dodge Viper are filled with synthetic oil at the factory. AMSOIL synthetic motor oil offers exceptional protection against harmful deposits, viscosity increase and wear in the toughest conditions, helping motorists maximize the performance and longevity of their vehicles. Its ability to keep components clean despite increased stress helps sophisticated engine systems operate smoothly and demonstrate long life. Its outstanding performance combined with its extended-drain capabilities offer a unique combination of quality and value not offered by other motor oils. Synthetic oil and lubricants are able to hold their consistency for longer and during extreme temperatures. What does this mean for you? Longer drive times between oil changes due to a reduction in lost oil through oxidation and evaporation. In addition, due to the chemical make-up of synthetic oil, not only does it provide protection for longer, the protection that it does provide remains comprehensive throughout its use. When the temperature drops, motor oils thicken and move slower, causing parts of your engine to remain unprotected for a short period of time. AMSOIL is more fluid at cold temperatures than the tested conventional oil, giving you 36% easier and faster cold starts*. This means that it can reach vital components faster, providing more immediate engine protection and reduced wear. In order to keep on pace with the increasingly strict fuel economy standards, vehicle manufacturers are designing engines differently, causing them to run hotter than ever before. The average operating temperature is up to 235°F, and even higher under heavy loads. This heat can quickly break down the oil and cause oxidation, sludge and deposits.Recent tests show AMSOIL keeps engines 81% cleaner (5 times cleaner) than conventional oil by better resisting the formation of deposits. Fuel economy is dependent on two main factors, how you drive your car, and the condition of your engine. Engines that are properly protected with Synthetic Oil run more fluidly than those using conventional oil thanks to the ability of moving parts to interact without friction. The smoother your engine is running, the less fuel it requires to power your vehicle. The base oils used in conventional oils contain molecules of different sizes and weights as well as unwanted materials, like wax. This typically requires more energy to circulate throughout your engine, which can reduce fuel economy. 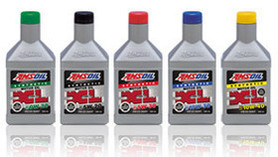 Conversely, AMSOIL synthetic motor oils are formulated using molecularly uniform synthetic base oils that slip easily over one another and are free of unwanted materials. They help reduce energy lost to friction and maximize fuel economy. 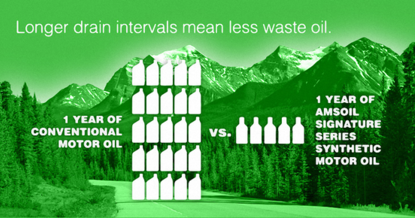 AMSOIL showed 38% less oil consumption than the tested conventional oil, requiring less-frequent top-offs. AMSOIL obtains much of its packaging materials from responsible sources. Plastic containers are made of post-consumer resins, while cardboard boxes derive from the Sustainable Forestry Initiative, whose benefits dramatically reduce waste (see chart). AMSOIL partners with SmartWay® carriers to ship product as efficiently as possible, producing emissions-reduction results equivalent to taking 166 cars off the roads annually.AMSOIL also boasts a rigorous recycling program throughout its corporate facilities. Less than 10 percent of the waste AMSOIL generates ends up in a landfill. In fact, the entire 400,000 square foot AMSOIL Center in Superior, Wis., produces only one dumpster load of waste every six weeks.